Our blog post today comes John Terra who has been a freelance writer since 1985. He writes about everything from SEO tips to reputation safeguarding sites like Reputation.com. It's not new news to say that Voice over Internet Protocol (aka VoIP) is slowly making changes in telecommunications in the 21st century. When state governments start getting involved in legislation to phase out traditional copper-based lines in favor of VoIP, you know that things are really starting to take off. And now, we have a federal government agency poking around VoIP. The Federal Communications Commission has allowed a limited, six-month direct numbering access trial for a handful of VoIP providers: Vonage, SmartEdgeNet, WilTel Communications, IntelePeer and Millicorp. The essence of the trial is allowing the companies limited direct access to phone numbers, cutting out a few extraneous steps. The test grants the VoIP providers direct access to telephone numbers so that the FCC can determine whether the changes will raise red flags due to number exhaust, number porting, VoIP interconnection, or inter-carrier compensation. If these problems arise, the test is also supposed to address how those issues may be solved with a minimum of fuss. If the results of this trial work out, we may be seeing lower communications costs. Right now, the party making the call pays and connects to the Retail Service Provider (RSP), who in turn pays the Wholesale Carrier, who then pays a terminating access fee to the Local Exchange Carrier (LEC). The LEC then converts the call and sends it along to the VoIP Service Provider, and the recipient gets the call. There's at least three different fees being tossed around in this process. VoIP Peering and Routing with Direct Access is the best way (as in, least expensive) to go, and the FCC test will determine its viability. The caller pays the Retail Service Provider, who sends the call on to the VoIP Service Provider, bypassing all of the other steps (and consequently, fees). The Peering agreement has some room for flexibility, and it may mean that the RSP pays something to the VoIP Service Provider. It depends on the individual agreement. Naturally, with any new innovation, there's always negatives to consider. Critics have cited the risk of number exhaust in certain area codes. The FCC has countered with proposing that interconnected VoIP providers be required to obtain phone numbers directly from the numbering administrators, and also that they comply with the same numbering requirements and guidelines as regular carriers. A little bit of regulation will prevent abuse of the system. There have also been concerns about call routing, that if the calls aren't associated with a switch, all of those VoIP carriers will be unable to route their calls properly. The FCC has already shot this objection down, pointing out that VoIP carriers are already routing their calls without incident via their CLEC partners. So What Will This Bring? Looking at the big picture, this represents yet another big step in the overall evolution of the telecommunications industry. 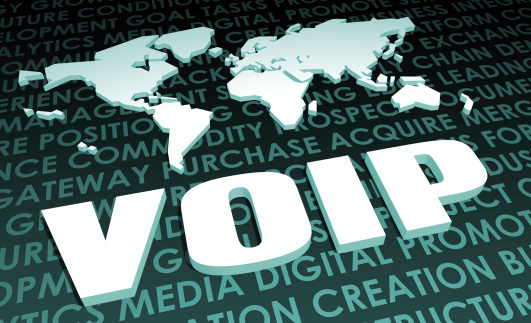 Not only are telephones migrating away from the traditional land lines in favor of VoIP, but now VoIP providers may have a more hands-on role in the kind of service they provide. Allowing direct access to phone numbers and VoIP peering effectively removes the middle-man, and therefore eliminates the middle-man's fees. This results in lower costs, and makes state of the art telecommunications technology readily available for even the smallest of businesses. A level playing field that allows more companies to compete effectively translates into more choices for the consumer, so in the final analysis, everybody wins with direct access.